In this paper, we use theoretical frameworks from mathematics education and cognitive psychology to analyse Cauchy’s ideas of function, continuity, limit and infinitesimal expressed in his Cours D’Analyse. Our analysis focuses on the development of mathematical thinking from human perception and action into more sophisticated forms of reasoning and proof, offering different insights from those afforded by historical or mathematical analyses. It highlights the conceptual power of Cauchy’s vision and the fundamental change involved in passing from the dynamic variability of the calculus to the modern set-theoretic formulation of mathematical analysis. 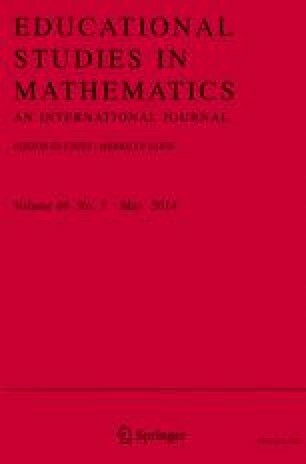 This offers a re-evaluation of the relationship between the natural geometry and algebra of elementary calculus that continues to be used in applied mathematics, and the formal set theory of mathematical analysis that develops in pure mathematics and evolves into the logical development of non-standard analysis using infinitesimal concepts. It suggests that educational theories developed to evaluate student learning are themselves based on the conceptions of the experts who formulate them. It encourages us to reflect on the principles that we use to analyse the developing mathematical thinking of students, and to make an effort to understand the rationale of differing theoretical viewpoints. Błaszczyk, P., Katz, M., & Sherry, D. (2013). Ten misconceptions from the history of analysis and their debunking. Foundations of Science, 18(1), 43–74. doi: 10.1007/s10699-012-9285-8. http://arxiv.org/abs/1202.4153. Borovik, A., & Katz, M. (2012). Who gave you the Cauchy–Weierstrass tale? The dual history of rigorous calculus. Foundations of Science, 17(3), 245–276. doi: 10.1007/s10699-011-9235-x. http://arxiv.org/abs/1108.2885. Joyce, D. E. (1997). Euclid’s Elements. Retrieved from http://aleph0.clarku.edu/~djoyce/java/elements/toc.html. Katz, K., & Katz, M. (2011). Cauchy’s continuum. Perspectives on Science, 19(4), 426–452. doi: 10.1162/POSC_a_00047. Katz, K., & Katz, M. (2012). A Burgessian critique of nominalistic tendencies in contemporary mathematics and its historiography. Foundations of Science, 17(1), 51–89. doi: 10.1007/s10699-011-9223-1. Katz, M., & Sherry, D. (2013). Leibniz’s infinitesimals: Their fictionality, their modern implementations, and their foes from Berkeley to Russell and beyond. Erkenntnis, 78(3), 571–625. doi: 10.1007/s10670-012-9370-y. Tall, D. O. (2012). A sensible approach to the calculus. El cálculo y su enseñanza (Handbook on Calculus and its Teaching). 3, 43–70. Available on the internet at http://mattec.matedu.cinvestav.mx/el_calculo/ or http://www.warwick.ac.uk/staff/David.Tall/downloads.html.